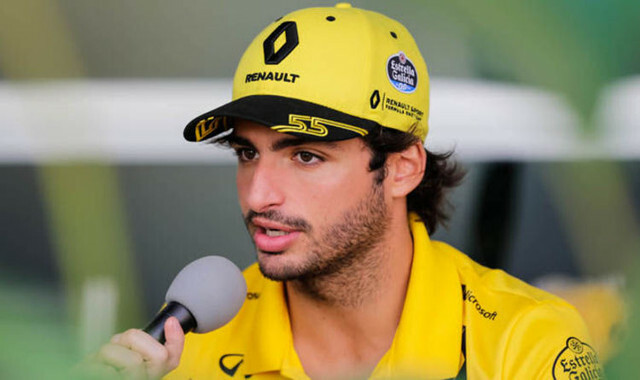 Carlos Sainz said he and McLaren had been in talks to start working earlier than they should have and to attend the Abu Dhabi test next month. The Pirelli tire test in Abu Dhabi will be the last official test before February next year. Sainz, the Renault driver, is one of the names that will change teams next season. Sainz commented on the possibility of competing with McLaren in Abu Dhabi: "My agent is looking at the situation to see if it is possible. No decision has been made or nothing has been clarified." Renault wanted to replace Sainz with Daniel Ricciardo, but this request was not accepted by Red Bull. The decision is expected in the coming weeks. Lance Stroll is expected to join the test with Force India, which is almost certain to fight next year. In addition to these names next season, Kimi Raikkonen, Pierre Gasly and Charles Leclerc will change the team. Gasly and Raikkonen said they had the possibility to participate in the Abu Dhabi test with their new team, but no decision was taken yet. Raikkonen, "We will see. There is nothing obvious. I will be open to any decision." said. Gasly said: "We have not taken any decisions, we will see what will happen. This test would be a good opportunity to start working with the team, of course."